We do not curently have theatre tickets available for Innervisions Festival Presents - Fela Kuti - Saluting the Black President This could be because we have simply sold out or it could be that this show is no longer running. The information on this page remains purely for historical and informational purposes. 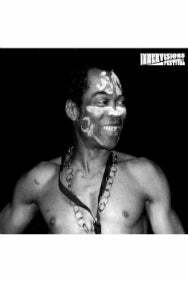 Fela Kuti has released some of the best and most important music of the past century and has been revered by musicians the world over such as Paul McCartney, Uestlovefrom The Roots, Thom Yorke from Radiohead, Miles Davis, Bono from U2 and many more.